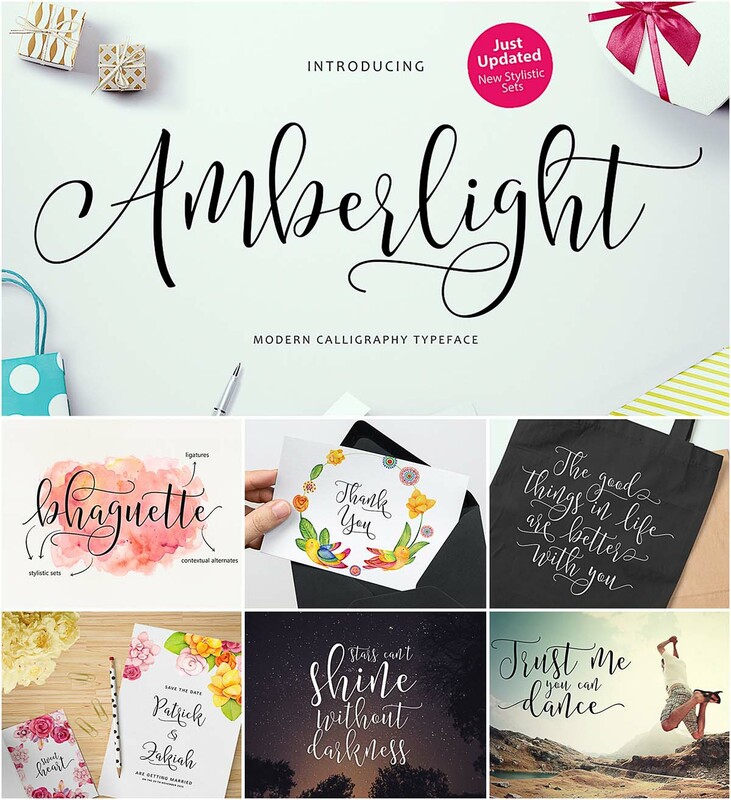 Introducing Amberlight Script with a sweet calligraphy-style, decorative characters and a dancing baseline. Perfect for invitation like greeting cards, branding materials, business cards, quotes, posters, and more. Tags: brush font, calligraphy, ornaments, script, typeface, typography. How do I download anything from this site?? Dear Britney, you need to click on green “Download” button under the image (in one line with social media icons).